The station was established as "the research agency in engineering" to support extension work for the School of Engineering. The station was intended to address engineering issues of local state and regional concern. H.B. Shaw became its first director. A.F. 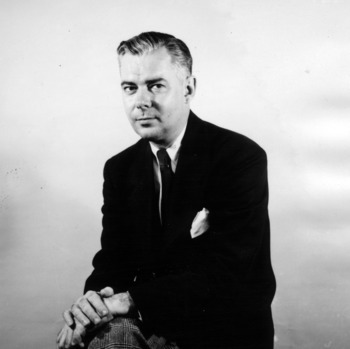 Greaves-Walker organized and served as head of the new department of Ceramic Engineering, the first department of its kind in the American South. Greaves-Walker, a native of the U.K., spent 20 years working in industry as a mining and ceramic engineer and administrator. According to a 1927 Technician article, the department was "established primarily to promote the ceramic industries of North Carolina and to thus provide plants in which its graduates may find employment." An article in the Technician newspaper states that the department was established "primarily to train 'miners' for the particular mining problems of the state and the south," who will "be particularly well trained for geological survey work and the development departments of southern railroads." A.F. Greaves-Walker is head of department. Department of Mining Engineering is dissolved, and courses become distributed between Ceramic Engineering and Geology departments. Following the dissolution of the department of Mining Engineering, a separate department of Geology is established. Jasper L. Stuckey is head of the department. Jasper L. Stuckey, Professor of Geology. The Department of Geology is renamed to become the Department of Geological Engineering. 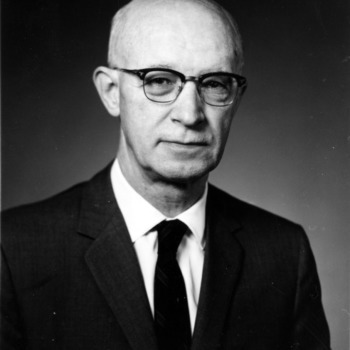 Jasper L. Stuckey remains head of department until 1954, when it becomes part of the new department of Mineral Industries. 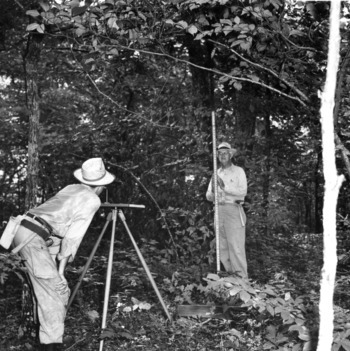 Dr. Jasper L. Stuckey, Professor of Geology, on geological field trip. Department head A.F. Greaves-Walker takes a leave of absence from NC State to serve as Chief of the Metals and Minerals Branch of the Office of Production Research and Development. 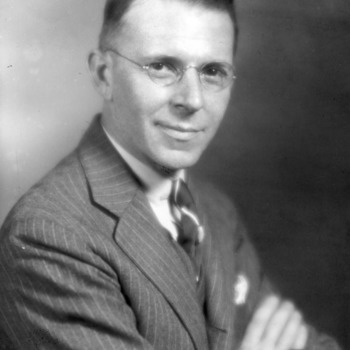 His research contributes to development of materials in the war effort. 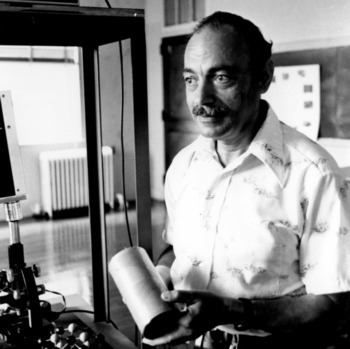 Dr. Greaves-Walker was the first ceramic engineer to be honored by membership in the society which was composed of the top-ranking mining engineers, metallurgists, and geologists in the country. A.F. Greaves-Walker publishes a 6-part series of bulletins through the Engineering Experiment Station, to outline the need for developing and investing in North Carolina minerals. The bulletins describe "the location of the deposits and enumerate the possible uses of various minerals, with the hope that North Carolinians may be interested in developing new mineral industries during the post-war period." Greaves-Walker points out that North Carolinians "have usually permitted these remarkable deposits either to be rapidly depleted by foreign corporations, which shipped the minerals to other states for processing into manufactured products, or remain undeveloped." The bulletins advocate investing efforts to develop and retain these resources locally, particularly during the years following World War II. The Engineering Experiment Station is renamed the Engineering Research Department, and continues to serve as the research agency for engineering at NC State College and work closely with the departments of Ceramic, Mining, and Geological Engineering. W.G. 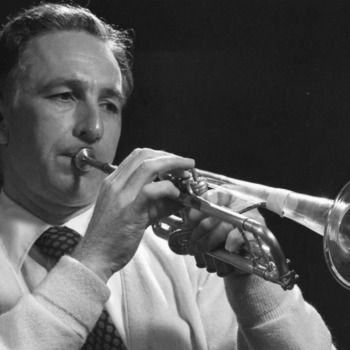 Van Note serves as head of the department until 1951, followed by N.W. Conner and R.F. Stoops. The Minerals Research Laboratory opens in Asheville, North Carolina. 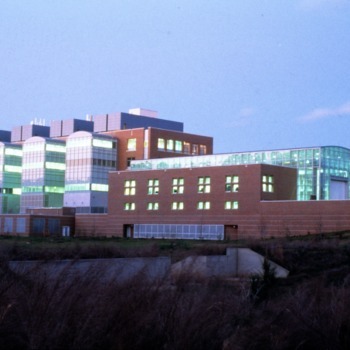 The Laboratory was initially created as a collaboration between the Tennessee Valley Authority, who provided equipment and funds, and the Division of Mineral Resources of the North Carolina Department of Conservation and Development, who provided the building. 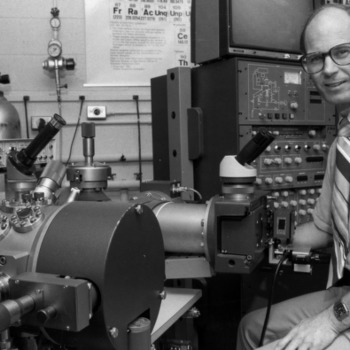 State Geologist and NC State professor Jasper L. Stuckey was involved in securing the initial contract for the Laboratory and served as its founding Director. 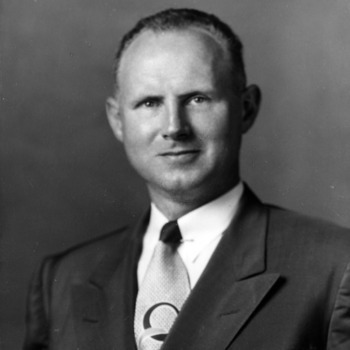 Around 1950 William W. (Bill) Austin leaves the Southern Research Institute in Birmingham, AL, and joins NCSU faculty to teach and build metallurgical research activities in Mechanical Engineering. N.W. 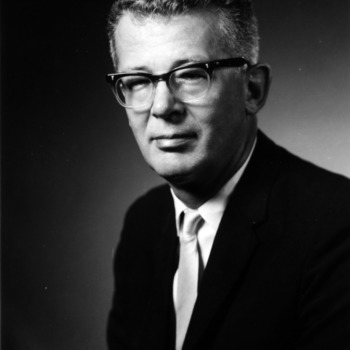 Conner serves as head of the Engineering Research Department until 1967. Dean of Engineering Harold Lampe merges the departments of Ceramic Engineering, Geological Engineering and the metallurgy program in Mechanical Engineering, to become the new Department of Mineral Industries. William W. Austin is head of department. Separate degree programs were retained in ceramics (Worth Kriegel), geology (J. M. Parker III) and metallurgy (W.W. Austin). A departmental memo from 1954 states, "the merger has been made because it is felt that an integration of talents and physical facilities of the three areas will result in the most effective and efficient operation." In 1950, the TVA announced that due to budget restrictions it would be required to discontinue support of the Minerals Research Laboratory. 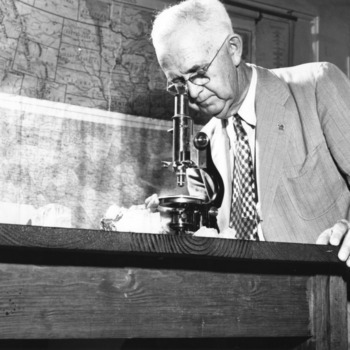 The TVA agreed to give the State of North Carolina the equipment in the laboratory “if the State would continue to operate the Laboratory for the benefit of the mineral producers in the area.” Governor William B. Umstead determined that the Minerals Research Laboratory should become “a function of State College,” and in 1954, the continued operation of the laboratory became the responsibility of the School of Engineering at NC State. The department of Materials Science and Engineering initiated a Nuclear Science and Technology Short Course under the sponsorship of the Atomic Energy Commission's Atoms for Peace program. The course included instruction in materials problems in nuclear reactors and was part of growing academic activity in the area of nuclear materials. In addition to the short course, the department introduced additional graduate courses and received funding from the AEC for laboratory equipment in the growing field of nuclear materials engineering. 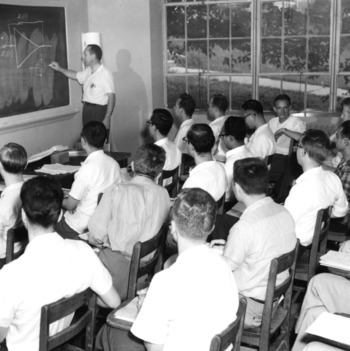 Nuclear Technology short course Atoms for Peace Program, Dr. William Barclay instructing class, 1956 July. Anna Clyde Fraker, a native of Greenville, TN, with a B.S. 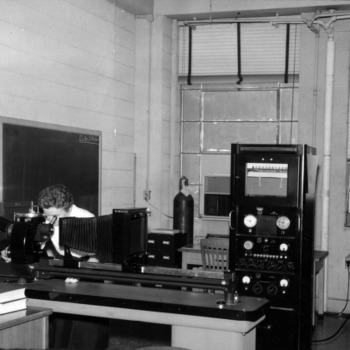 in Chemistry from Furman University ('57), became the first woman to receive an advanced degree in engineering at NC State when she received her master's degree in metallurgical engineering in the Department of Mineral Industries. The Geological Engineering program separates from the Department of Mineral Industries and the College of Engineering. It is renamed the Department of Geosciences in the newly-formed School of Physical Science and Applied Mathematics, and later becomes part of the Department of Marine, Earth, and Atmospheric Sciences in 1980. 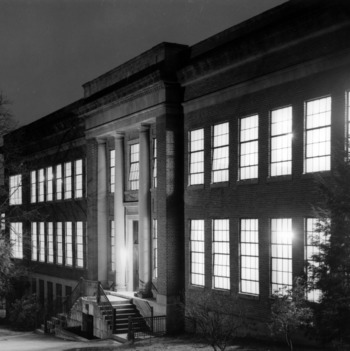 The Mechanical Engineering Department moved to Broughton Hall and Riddick Engineering Labs in 1951, making Page Hall available for the new Department of Mineral Industries. Stoops earned a B.S. 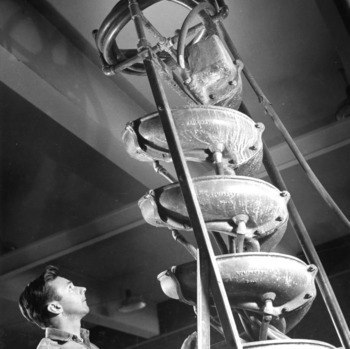 in Ceramic Engineering at NC State in 1949 before completing his M.S. and Ph.D. at Ohio State University. As head of the ERD, Stoops oversaw research activities for the School of Engineering and directed the Minerals Research Laboratory in Asheville. Dr. Fraker began her career at NC State's Department of Engineering Research, where she contributed to biomaterials engineering research. Her research focused on surgical implant materials, seeking to find a material that was compatible with the chemistry of the human body but would not corrode. In her later work at the National Bureau of Standards and Technology (NIST), Dr. Fraker's research led to the development of standards for implant materials. A large enhancement grant from the National Science Foundation brought many new research oriented faculty and facilities to the School of Engineering. Faculty such as H.T. Beeler, Ray Benson, Robert Davis, and Abdul Fahmy became known for their new teaching and research efforts, bringing visibility and recognition to the department. The Department of Mineral Industries is renamed the Department of Materials Engineering. Emphasis of the program changes from the exploitation of raw materials to discovering and applying fundamental relationships that exist between the hyperfine structures of solids and their engineering properties. William W. Austin is head of department. The Materials Engineering department co-hosts the Research Conference on Severe Environments with NASA, the US Army Research Office (Durham, NC), and the US Air Force Aerospace Research Laboratories. Drs. W.W. Kriegel and Hayne Palmour, III, co-edit the publication "Ceramics in Severe Environments" (1972) as a result of the conference proceedings. The former Engineering Research Department is renamed to become the Engineering Research Services Division, serving as research division for the Materials Engineering department. R.F. Stoops remains head of the division until 1981. The department begins to update curriculum to become "more relevant to the current emphases on the environmental aspects of materials," that deal with pollution control and the effects of materials and processes on the environment. New undergraduate courses are introduced, including Materials and the Environment, Environmental Aspects of Materials Processing, and Materials and Civilization. Dr. Manning and graduate student Lyn David Lineback received the NASA Achievement Award for Research & Development for their project "Thermal Shock Resistant Hafnia Ceramic Materials." Materials Engineering professor Leon T. Jordan introduced an Engineering Operations technical course in music instrument manufacture. Jordan believed that with faculty in materials engineering, wood science and technology, physical sciences, and acoustical studies, "NC State is in a unique position to provide a research atmosphere for the development of new materials and new techniques for manufacturing musical instruments." The program was discontinued in the early 1980s. Following W.W. Austin's retirement, H.B. 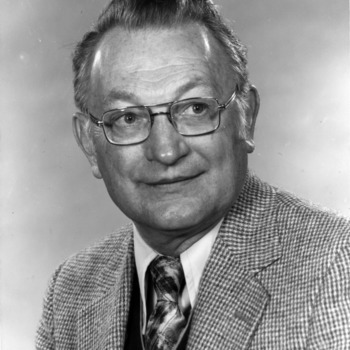 Smith becomes acting head of the department (1979-1980) followed by J.K. Magor (1980-1981). 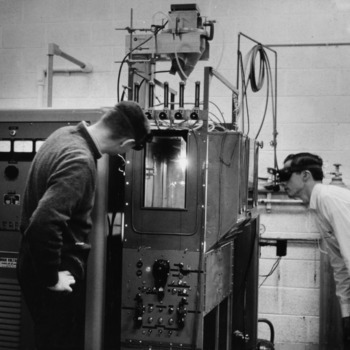 The Engineering Research Services Division informally adopted the name Analytical Instrumentation Facility (AIF) during the 1981-1982 fiscal year. By the 1990s that had become the official name of the unit. 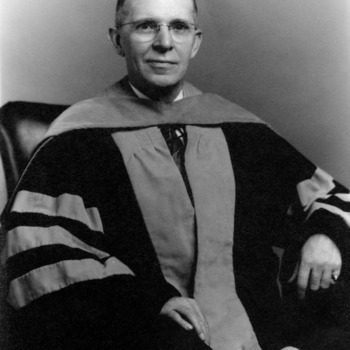 Calvin H. Carter, Jr., was awarded a Doctor of Philosophy degree. He had previously earned a Bachelor of Science degree in 1977 and a Master of Science degree in 1980. He later became co-founder of Cree, Inc., and was a 2002 recipient of the National Medal of Technology and Innovation. J.J. Hren becomes head of the Department of Materials of Engineering. Under Hren's leadership, the department undergoes its renaming to the Department of Materials Science and Engineering and becomes involved in the design of research facilities on Centennial Campus. 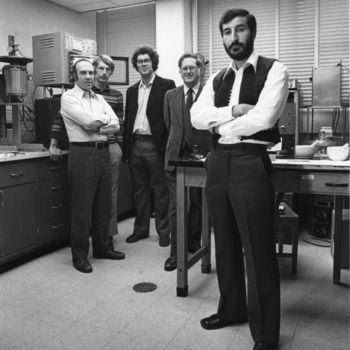 In July 1986, as a result of successful advocacy by Dr. Hren and others, the name of the Department of Materials Engineering was chanced officially to Materials Science and Engineering. The new name reflects the dual nature of known routes to success within the materials disciplines by maintaining expertise in both science and engineering, consistent with recent trends among the nation’s materials-oriented academic institutions. Cree, the world's first manufacturer of energy-saving blue light-emitting diodes (LEDs), is established, after it arose out of a process developed by Calvin H. Carter, Jr., and other former students of Robert Davis. Due to rapid growth of research in the MSE department, MSE expands into two new buildings on Centennial Campus: Research Building I and the Engineering Graduate Research Center (later renamed the Monteith Center). 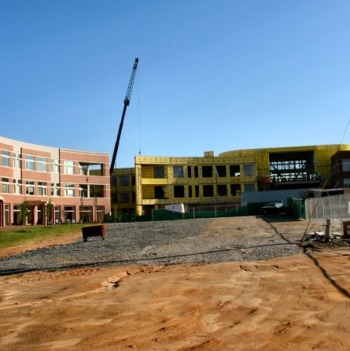 The department expands into Engineering Building I on Centennial Campus.